Print security and reducing waste matters. Each year, millions of documents are left sitting on printers, unclaimed, destined for prying eyes or the trash can. When they contain sensitive or confidential information, it’s a big security risk for organizations. PrinterLogic’s Pull Printing solution delivers a variety of end-user printing options, helps reduce costs, and prevents valuable information from leaving the company. The solution is perfect for organizations with employees who work in multiple locations, use common terminals, adopt virtual desktops, or simply want an easier, more secure way to print to any printer on the network. Pull Printing (Follow-me Printing) enables users to send print jobs via a universal printer driver and gives them the ability to retrieve the job at any Pull Printing enabled printer they choose. Duplicate print jobs are minimized. PrinterLogic customers have reported up to a 30 percent reduction in consumable waste using this method. 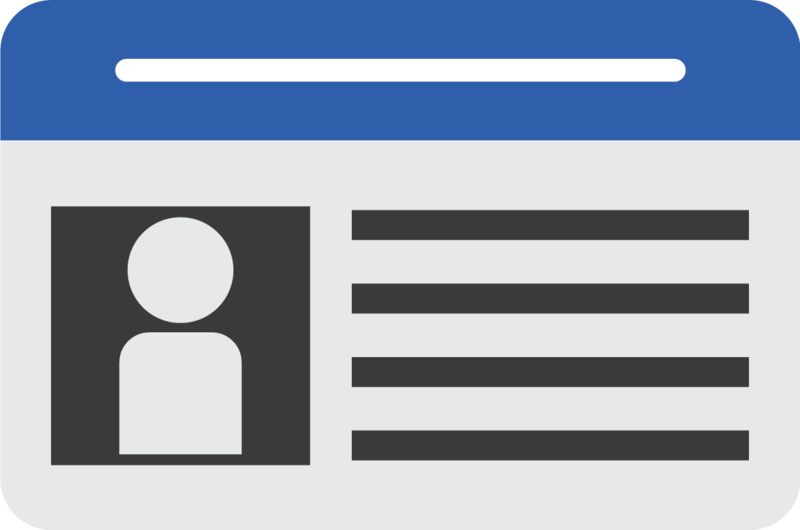 Where printers are equipped with a badge or card reader, the end user can authenticate at the printer using their employee badge or CAC/PIV card. For printers without a built-in control panel, a networked-enabled card reader can be used to release all the user’s print jobs. PrinterLogic’s multi-factor authentication system is HSPD-12 compliant. 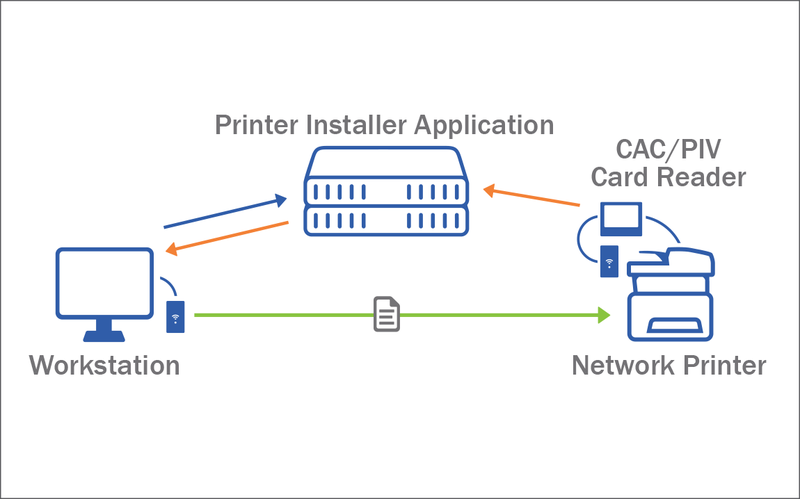 It enables CAC/PIV smart card release on any existing printer without the need for an expensive print-server infrastructure. Documents are digitally signed to ensure non-repudiation. The PrinterLogic control panel can be installed directly on a printer. This enables users to login and release their print jobs on the printer’s control panel using their Active Directory login or a User ID and numeric PIN. These methods do not require additional hardware for supported devices. PrinterLogic supports most printer models, depending on release method. 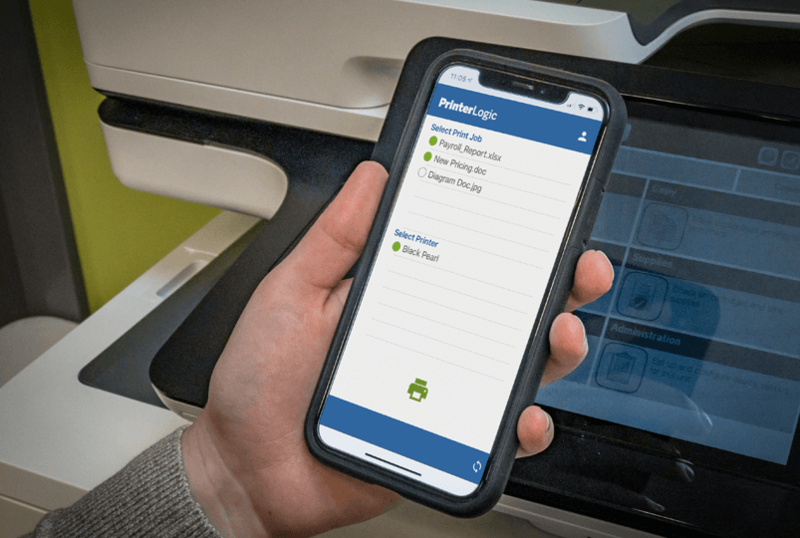 The PrinterLogic Print Release App for iOS and Android devices works with any network printer to quickly and securely release print jobs, eliminating the need for costly badge release systems or printer upgrades. Available in the Apple App Store and the Google Play Store. 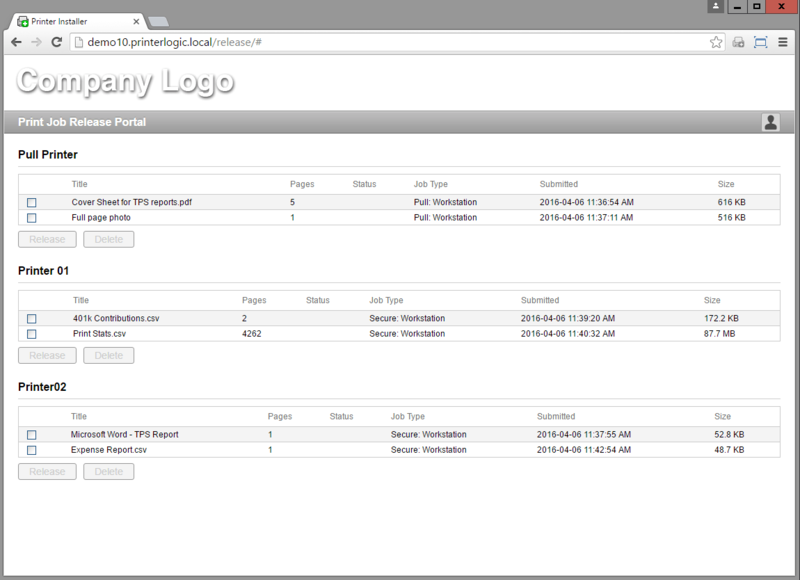 Any device with a browser can access PrinterLogic’s web app to release print jobs. A dedicated browser in a kiosk near the associated printer can also be used, even for simple printers that do not have a control panel. 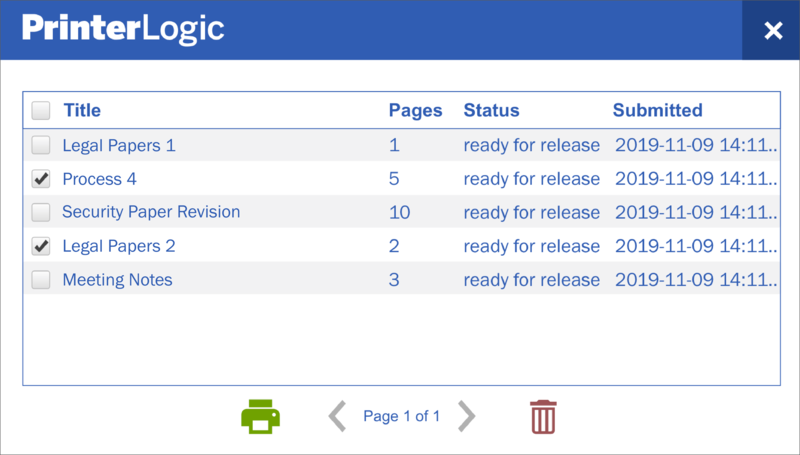 With PrinterLogic, you can replace all the functionality that print servers used to provide, while adding many new features that simplify print management and provisioning, reduce costs, and empower users to install printers for themselves—without help desk assistance.